A single protein building block commonly found in food may hold a key to preventing the spread of an often-deadly type of breast cancer, according to a new multicenter study published today in the medical journal Nature. Investigators found that by limiting an amino acid called asparagine in laboratory mice with triple-negative breast cancer, they could dramatically reduce the ability of the cancer to travel to distant sites in the body. Among other techniques, the team used dietary restrictions to limit asparagine. 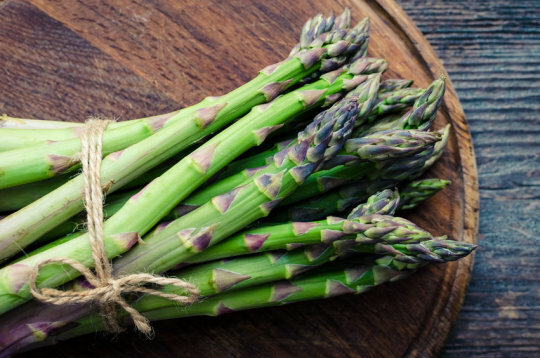 Foods rich in asparagine include dairy, whey, beef, poultry, eggs, fish, seafood, asparagus, potatoes, legumes, nuts, seeds, soy and whole grains. Foods low in asparagine include most fruits and vegetables. "Our study adds to a growing body of evidence that suggests diet can influence the course of the disease," said Simon Knott, PhD, associate director of the Center for Bioinformatics and Functional Genomics at Cedars-Sinai and one of two first authors of the study. The research was conducted at more than a dozen institutions. If further research confirms the findings in human cells, limiting the amount of asparagine cancer patients ingest could be a potential strategy to augment existing therapies and to prevent the spread of breast cancer, Knott added. The researchers studied triple-negative breast cancer cells, which grow and spread faster than most other types of cancer cells. It is called triple negative because it lacks receptors for the hormones estrogen and progesterone and makes little of a protein called HER2. As a result, it resists common treatments -- which target these factors and has a higher-than-average mortality rate. Research from past studies found that most tumor cells remain in the primary breast site, but a subset of cells leaves the breast and enters the bloodstream. Those cells colonize in the lungs, brain and liver, where they proliferate. The study team wanted to understand the particular traits of the tumor cells circulating in the blood and in the sites where the cancer has spread. The researchers discovered that the appearance of asparagine synthetase -- the enzyme cells used to make asparagine -- in a primary tumor was strongly associated with later cancer spread. The researchers also found that metastasis was greatly limited by reducing asparagine synthetase, treatment with the chemotherapy drug L-asparaginase, or dietary restriction. When the lab mice were given food rich in asparagine, the cancer cells spread more rapidly. "The study results are extremely suggestive that changes in diet might impact both how an individual responds to primary therapy and their chances of lethal disease spreading later in life," said the study&apos;s senior author, Gregory J. Hannon, PhD, professor of Cancer Molecular Biology and director, Cancer Research UK Cambridge Institute, University of Cambridge in England. Investigators now are considering conducting an early-phase clinical trial in which healthy participants would consume a low-asparagine diet. If the diet results in decreased levels of asparagine, the next scientific step would involve a clinical trial with cancer patients. That trial likely would employ dietary restrictions as well as chemotherapy and immunotherapy, Knott said. Studying the effects of asparagine also could alter treatments for other types of cancer, investigators say. "This study may have implications not only for breast cancer, but for many metastatic cancers," said Ravi Thadhani, MD, MPH, vice dean, Research and Graduate Research Education, at Cedars-Sinai.